You may have heard the terrible news out of northeast Oregon last week that two wolves, the alpha male and female of the newly formed Sled Springs pack, were found dead next to each other. It is highly likely that these animals were poached; poisoned given the unusual circumstances surrounding their demise, and the absence of bullet wounds. This pair had just recently given birth to a litter of wolf pups, and now these five-month old pups must survive the winter on their own — a tall order. The Oregon Department of Fish and Wildlife is reaching out for information concerning the deaths of these wolves, but we are not hopeful. 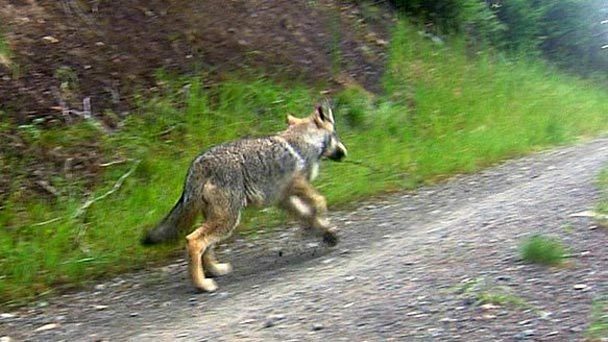 Recently in Washington, a man admitted to running down an endangered wolf with his truck, and then shooting the animal. After acknowledging poaching an endangered species, the man was released with a hundred dollar fine and a six month's probation. (See more on this story here.) Last fall, the alpha female of the Teeanaway pack near Cle Elem was poached. This tragic sequence of events is occurring in the midst of efforts by the Oregon Department of Fish and Wildlife to remove state endangered species protections for the species. Aside from all the practical and legal implications, we are worried this delisting effort will send a message to those out there hostile to wolves that it is open season. The Oregon Department of Fish and Wildlife Commission is hosting a hearing on October 9th in Florence, Oregon concerning its proposal to remove wolves from the state endangered species list. Your testimony is welcomed. Cascadia Wildlands has partnered with Oregon Wild, Defenders of Wildlife and the Center for Biological Diversity to host a training in order to give folks interested in testifying a chance to practice their testimony and help them to refine their message. We will be meeting at the Cascadia Wildlands office in Eugene, 1247 Willamette Street, October 8, 2015 from 6:30 to 8:30 pm. Food is being generously donated by Falling Sky and Oakshire has donated beverages for the event. Don't be shy, come meet people working on these issues, and help stand up for wolves in Oregon! Previous Previous post: Goose Timber Sale is Back!